Do Computers Interfere w/ Doctor Patient Relationships? The relationship between the doctor and patient is at the heart of medicine. Yet today, it’s not uncommon for patients to complain that doctors seem more interested in interacting with a computer than in talking with them. Patients often are unaware of the pressures placed on medical professionals to see more patients, to order tests online, to enter their findings in the patient record, and to provide all the documentation required by hospitals, insurance companies and the government. Concern is often expressed that the widespread use of medical algorithms may further degrade the clinical encounter because the clinician will need to look up information, enter data or pull out a calculator. However, these fears do not need to happen if the algorithms are properly integrated into the Electronic Health Record (EHR). Algorithms run on data and much of it can be collected before the patient sees the physician. This may involve issuing standardized questionnaires or testing protocols. Checklists can help to make sure that all of the necessary data is available prior to the encounter. Preselected algorithms can execute as soon as the requisite data becomes available and the output should be compiled as a prioritized summary for the clinician. This information should be available to the clinician prior to meeting with the patient. The clinician can then focus on the patient and specific problems, rather than trying to wrestle with raw information. In addition, output from the algorithms can be incorporated into the patient’s record in order to support actions taken, thereby improving documentation. 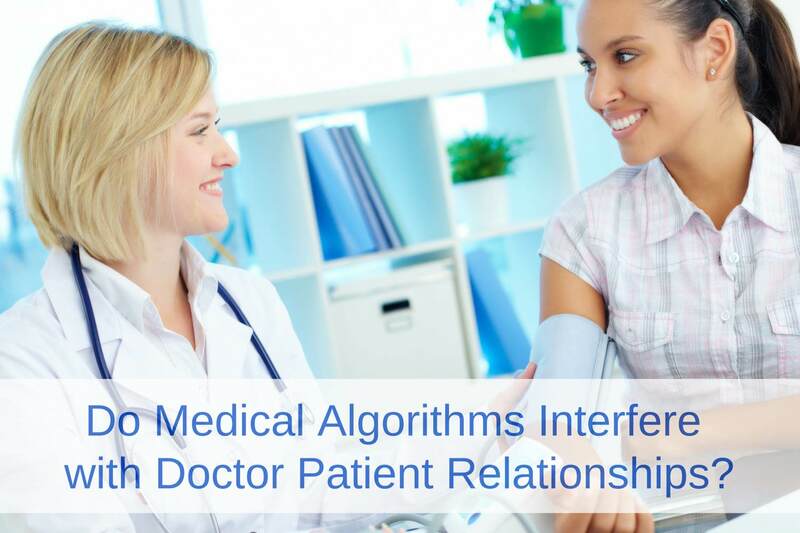 In this fashion medical algorithms can actually improve the quality of the clinical encounter by giving the physician more time to interact with the patient. When integrated properly, technology will also improve efficiency without taking time away from the patient.